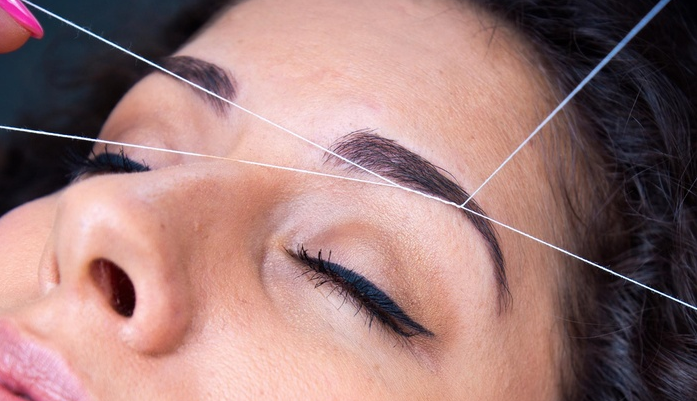 Threading your eyebrows have become so popular here in the states! They even opened a threading bar at my local mall. I just tried it for the first time to finally experience what it was like. I know everyone is different & we all have a certain pain tolerance & usually when I get waxed I am completely fine. But on a positive note…my eyebrows were done in literally 2 minutes!!!! YES 2 MINUTES!!!! Seriously unbelievable & my skin was not red or pink whatsoever.